Hello and Welcome to Ma Der Food Company, we're a passionate family owned traditional Lao packaged food company. We would love to introduce our savory products with everyone who enjoys good food, or who likes to venture into trying something new. Each item are made with love and from the same ingredients that our mother pass along to us. Trust us you'll enjoy every bite of our delicious product and as always like our mother would say, "Remember to share with others". At Ma Der Food Company we believe in using natural and fresh ingredients in producing our products. 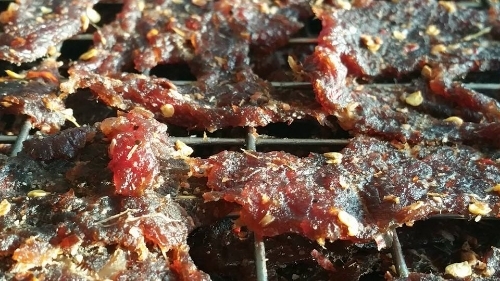 There's no preservatives, nitrates, additives, dyes or food coloring that is added to our finished Jerky. We want to produce quality product that everyone will enjoy and trust us they are addictive.